ABCD Housing and Homelessness Prevention services in Mystic Valley (Malden, Medford and Everett) include a range of programs that can provide immediate relief, as well as referrals and resources if you’re homeless or are at risk of homelessness. If you and your family are living in Malden, Medford or Everett and are homeless or at risk of becoming homeless, contact us. 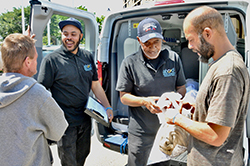 ABCD’s Mystic Valley services include general counseling, comprehensive assessments for those at risk of homelessness, referrals for services & resources to meet specific needs, assistance with finding and applying for affordable housing, and housing workshops.